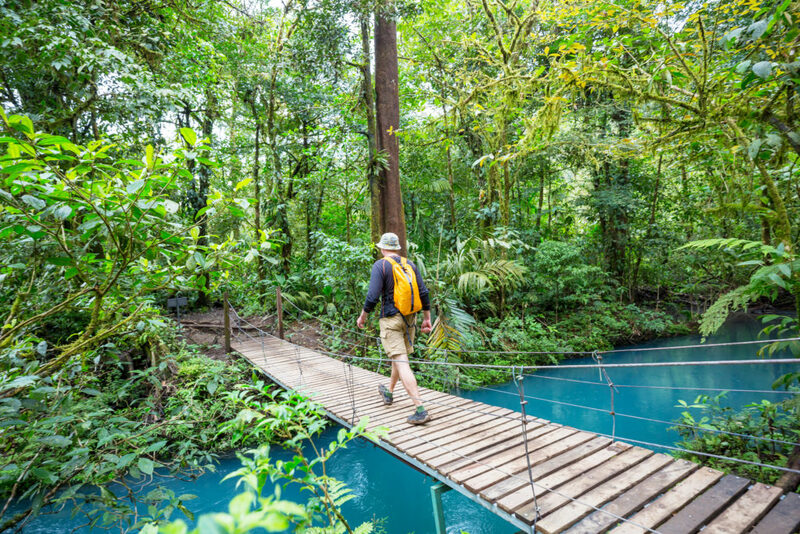 “Green travel,” or ecotourism, has been picking up steam for years along with voluntourism and sustainability: fortunately for Mother Nature, it’s part of a triumvirate that’s sticking close to the top of travel trends around the world. But what exactly is green travel? For starters, it’s more than choosing to vacation in a national park. Every time you board a plane, drive your caror your RV, you leave a carbon emission trail. Hotels and their industrial laundry rooms go through endless gallons of water. And never mind trash generated from on-the-go snacks and drinks. According to the International Ecotourism Society (TIES), ecotourism is defined as “responsible travel to natural areas that conserves the environment, sustains the well-being of the local people, and involves interpretation and education.” And it truly is a lot easier than it sounds. This year, Green Destinations and the ITB Berlin (Internationale Tourismus-Börse Berlin –the world’s largest tourism trade fair) unveiled their “World’s Top 10 Sustainable Destinations.” Among the award winners—chosen because they provide the “best of the best experience to lead the way towards quality, attractiveness, and sustainability in tourism”—is Vail, Colorado (Best of the Americas); Azores, Portugal (Best of the Atlantic); and Volcanoes National Park, Rwanda (Best of Africa). You can find the complete list of winners here. Among the many things these destinations get right is involving their local communities in tourism and avoiding over-tourism issues that have affected iconic locations such as Venice and Barcelona. Another great list to peruse is the Arbor Day Foundation’s Tree City USA communities page. There are over 3,400 communities nationwide that have made the commitment to joining the program, working on four core standards of good urban forestry management. Basically: all you have to do is Google around a bit, and chances are you’ll find several spots on the map that meet your vacation criteria and follow a true green path. Getting there can be tough: airplanes, for example, are notorious for their pollution. There are a handful of airlines that offer a way to offset carbon emissions, meaning they calculate what it takes to fly you and fund an equivalent carbon dioxide saving somewhere else. Airlines that offer carbon offset programs include Delta Airlines, United Airlines, The Emirates, British Airways, and others on an unfortunately very short list. Some of the programs include investing in fuel efficiency, electric powered tugs, and the exploration of carbon markets to accomplish their goal of carbon neutrality (Delta) and raising funds to go into waste minimization through increased recycling and reusing and reduced disposal (British Airways). On land, trains are viewed by the Global Sustainable Tourism Council as eco-friendly, as are hybrid buses. Most if not all rental car companies have eco-friendly cars available—some, like Green Motion USA, specialize in vehicles(including vans and SUVs) with the most current and cutting edge environmentaltechnologies. Demand for green hotels continues to grow and propertieslarge and small are stepping up. LEED certification by the U.S. Green Building Council is an excellent standardto look for: there are certified hotels in over 40 U.S. states, 31 countries,and five continents. And there’s no need for you to sacrifice comfort, beautyor luxury: many of the properties are five-star and exquisite. Properties are looking to energy and water conservation, as well as waste reduction. That includes swapping out PVC plastic key cards for bioplastics, wood or paper; offering custom-made all-natural amenities packaged in recyclable containers or using bulk dispensers; using bio-based oils and other natural cleaning products; integrating local products and using fresh, seasonal produce; and much more. There are several hotel chains that have taken important steps towards reducing their carbon footprint and embrace sustainability: you might recognize names including Kimpton Hotels, Joie de Vivre Hotels, BanyanTree Resorts, Fairmont Hotels, Hilton Hotels, Hyatt Hotels, Marriott Hotels,and Starwood Hotels, to name a few. Some, like Starwood, have even founded chainsthat adopted sustainability practices across the board. Ready to travel green? Call your SkyMed Travel Concierge about how, when, and where you want to go 800-568-8994.